Hey, Google! 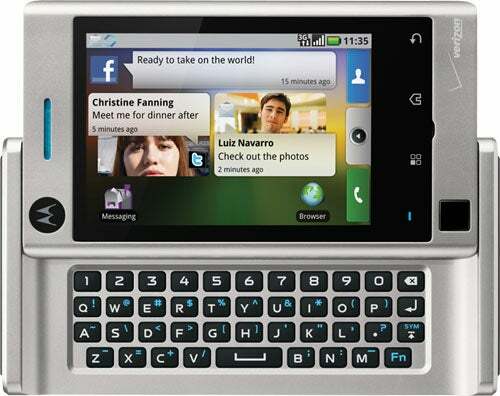 Why No Multitouch for the Droid? Motorola is adding another device into its Android arsenal. The Motorola Devour, officially announced on Wednesday, will be available on Verizon Wireless starting in March. At a glance, the Devour has a similar form to the Droid. Inside, however, this phone is a very different beast. 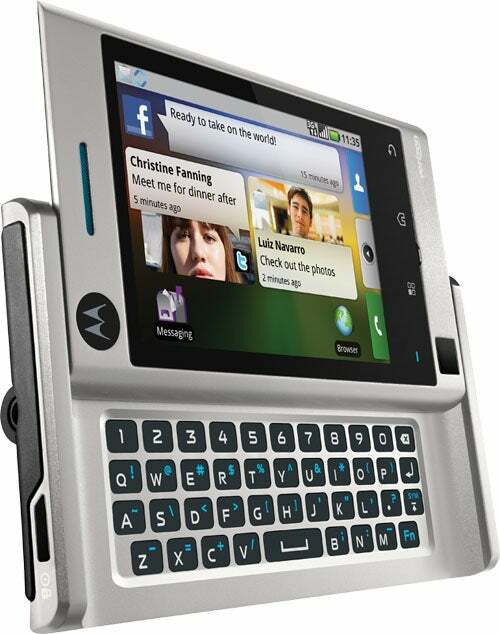 Like the Droid, the Motorola Devour features a slide-out QWERTY keyboard. The two phones' similarities pretty much end there. The Devour has a 3.1-inch, 320-by-480 pixel touchscreen. 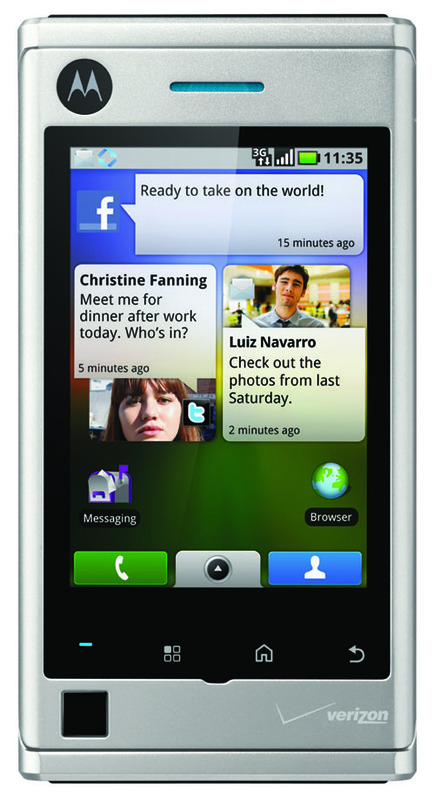 The resolution is comparable to the iPhone but lower than the Droid, which boasts a 3.7-inch, 480-by-854 pixel display. While specifics about the Devour's processor have yet to be revealed, the phone is expected to be more of a midrange Android option compared to Droid's higher-end status. It's rumored to run on the Qualcomm 600-MHz MSM7627. The Devour has an optical trackpad directly beneath its display. It's said to pack a 3-megapixel camera with digital zoom, along with an accelerometer and dual microphones for noise cancellation. The Devour comes preloaded with an 8GB microSD card. Motorola's Devour will offer a drastically different software experience than the Droid and many other Android phones. Like the Cliq, the Devour comes with Motorola's Motoblur interface on top of the stock operating system. It'll be the first Android device on Verizon to feature the Motoblur skin. Motoblur changes the very look and feel of the phone, adding live streams of information onto the home screen through a series of custom widgets. Social network status updates, e-mail, and other messaging tools are all integrated into the desktop with a unique graphical look not seen in the standard Android OS. Motoblur also provides automated backups of user data and phone settings. One possible software downside: Reports suggest the Devour will ship with Android 1.6 rather than the more recent Android 2.1 release that debuted on the Nexus One or even the Android 2.0 release introduced with the Droid. Motorola has yet to confirm this. If the Devour does ship with Android 1.6, one would imagine that a 2.1 update would be rolled out at some point in the coming months. With that said, though, Verizon and Motorola have yet to update any other Android handsets to 2.0 or 2.1 thus far, so it's tough to say how long the wait might be. Pricing of the Devour hasn't yet been released, but most analysts expect the Devour's to sell for less than the Droid's $199.99 pricetag. As you might expect, a Verizon voice and data plan will be required with all Devour purchases. The cheapest possible option will be about $70 a month.